The northernmost of Japan's big four islands, Hokkaido seems a world apart from the rest of the country, with nearly a quarter of its total land area and only five percent of the population. To the Japanese, this island is synonymous with photogenic mountains and abundant wildlife. To most foreign visitors, a vacation in Hokkaido means exploring an area reminiscent of northern Europe, abundant in waterfalls, hot springs, volcanoes, mossy canyons, and peaceful lakes. Hokkaido also boasts the world's longest railway tunnel, the only land connection between this and Japan's main island Honshu. Sapporo: Most Hokkaido itineraries include some time in this bustling city, renowned for its annual festivals, brewery, and vibrant nightlife. Hakodate: Close in proximity to some of the best natural attractions on Hokkaido and renowned for its seafood, the gateway to Japan's northernmost island also charms with abundant waterfront attractions. Otaru: Featuring numerous historic buildings, Otaru has gained the attention of local and international tourists alike. You can also delve into the local artisan and music scene. Biei-cho: Among the top places to visit on Hokkaido, Biei-cho treats you to the island's lush, picturesque countryside. Asahikawa: Surrounded by verdant hills, the city of Asahikawa offers plenty of natural sightseeing opportunities without leaving the urban environment. Fans of ramen will have lots to sample in the "ramen village." Odori Park: A 1.5 km (1 mi) long oasis in the heart of Sapporo, this thickly vegetated park splits the city into north and south. Mount Hakodate: Get uninterrupted panoramic views of pristine surroundings--as well as the city and bay--from this 334 m (1,096 ft) peak. Asahiyama Zoo: Small in size yet teeming with variety, this zoo allows for up-close experiences with animals. Enter strategically placed glass domes to be at eye level with some of the zoo's most ferocious predators. Sapporo Underground Pedestrian Space: Lined with restaurants and cafes, this underground zone connects several shopping centers and two train stations, and serves as a getaway spot from bad weather. Otaru Canal: Once a bustling port, today this canal sets the scene for peaceful strolls along the promenade, surrounded by attractive architecture and hills in the distance. Sapporo Clock Tower: An iconic tourist attraction in Hokkaido, Sapporo's clock tower dates from 1878 and is one of the few remaining western-style constructions. Susukino: One of Sapporo's most vibrant districts, this red light district features bustling restaurants and cafes during the day--yet it really comes alive at night, when numerous venues stay open into the wee hours. Goryokaku Tower: Take in expansive views from atop the 107 m (351 ft) Goryokaku Tower, overlooking Hakodate and the Goryokaku Fort below. Former Hokkaido Government Office Building: History and architecture buffs on a tour of Hokkaido shouldn't miss this 19th-century government house, a rare example of Neo-Baroque architecture in Japan. Blue pond: A turquoise oasis surrounded by lush vegetation, Blue Pond is one of Biei-cho's top natural sights. Planning your family tour of Hokkaido is easy, as the region is full of kid-friendly destinations. The island’s capital and perhaps the best city to visit with kids, Sapporo offers plenty of family-oriented attractions and amenities, including green spaces, shopping malls, and amusement parks. On the southwest of the island, Abuta-gun offers excellent Hokkaido vacation ideas year-round: a popular ski center, large resorts catering to families, and tranquil onsen villages. Rent a car and drive around Biei-cho, where the picturesque countryside will immerse kids in nature with plentiful gardens and reserves. You and your children can explore local craft workshops and galleries, take a few hikes, then relax in a hot spring or local restaurant. With no shortage of kid-friendly activities, adding family fun to your Hokkaido itinerary is easy. For some excitement, consider a rafting trip with Hokkaido Lion Adventure, or head to Wonder Land Sapporo for a kid-friendly snowmobile tour that ends atop a 600 m (1,968 ft) mountain. Young animal lovers will appreciate a trip to Maruyama Zoo, a modest but thoughtfully arranged facility that includes a petting zoo, farm animals, and even kangaroos to meet and greet. If you come in winter, you'll see snow leopards, penguins, and polar bears in their element. Finally, there's no shortage of learning experiences on Japan's northernmost main island. Walk around the open-air museum at the Historical Village of Hokkaido for insight into the region's different eras. For an extra treat, hop in a horse-drawn carriage and explore the surrounding architecture and artifacts. Taking children on a Hokkaido holiday should prove fairly easy and comfortable, as the island welcomes families of all sizes. Try staying at small family-run inns with an onsen (traditional hot spring) as opposed to large chains: the owners may be able to arrange private use of the baths, from which you can stargaze in the evening. If your Hokkaido itinerary includes a fair amount of travel, consider renting a car to get from place to place, as you'll be able to go at your own pace and also stop to appreciate the gorgeous nature along the way. Drawing tourists from across the country and abroad, Japan's northernmost island is renowned for its seafood. You will find a large variety of fresh fish and processed dishes here during your Hokkaido trip. Some of the most common local specialties include ishikari nabe (stew made of salmon pieces and vegetables), ruibe (sliced salmon pieces frozen naturally outdoors), and, of course, Hokkaido ramen, the ubiquitous noodle dish served in a broth with various flavors. Sapporo ramen is known throughout Japan and should be on your list of things to try. Head to Sapporo Jyogai Market to get a taste of some of the finest traditional local cuisine. You can sample plenty of dishes as you make your way through two rows of shops in this walk-through street. Be sure to stop in one of the tucked-away restaurants, as well. Primarily renowned for its sweets, Japan's northernmost island offers plenty of tasty items to bring home from your Hokkaido vacation. Cookie-lovers should pick up a box of Shiroi Koibito biscuits, available in just about any souvenir store in the region. The square-shaped sandwich features a mix of vanilla and chocolate flavors. Music boxes from Otaru, made to order, are also excellent gifts. These sought-after pieces feature a unique design accompanied by a song of your choice. When in Sapporo, consider picking up leather goods made from Ezo sika deer. This up-and-coming product is certified as Sapporo-style--goods produced in the city, drawing on its local traditions. You can easily spot deer from which the items are crafted in East Hokkaido. * Hokkaido is the northernmost of Japan's main islands. * Sapporo, Hokkaido's capital, ranks as Japan's fifth-largest city, while the island itself measures one-fifth the size of Japan. 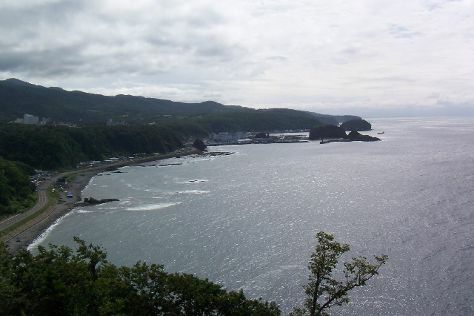 * Prior to Japanese settlement in 1869, the island was home to aboriginal Ainu peoples. * Japan's second-longest river, the Ishikari, runs through Hokkaido. One of the island's best-known festivals, the Sapporo Snow Festival in February makes a great addition to any Hokkaido itinerary. Established in 1950, this spectacle attracts over 2 million visitors from all over Japan, who flock to Odori Park to view displays of enormous snow sculptures. Every June sees the celebration of the island's main event, the Hokkaido Shrine Festival. A procession of thousands of performers dressed in vibrantly colored Heian-period costumes extends from the Hokkaido Shrine into the heart of Sapporo. In summer, beer-lovers can revel in the country's largest beer festival, a month-long affair also held in Odori Park. An enormous beer garden serves brews from around the world, while other summer festivities in the city include dance, fireworks, and firefly hunting. Hokkaido experiences warm summers and icy winters. Average summer temperatures in August range between 17 and 22 C (63-72 F), while average winter temperatures dip from -4 to -12 C (25-10 F). The best time to plan your Hokkaido holiday completely depends on what sort of trip you're after. While early to mid-summer has traditionally been the peak season of tourism on Hokkaido, winter travel to the island is on the rise. If you want to visit one of Hokkaido's numerous ski resorts, then January is the best time to visit. Head to the island's north for maximum snowfall. Because Hokkaido is large and spread out, you'll cover large distances when traveling from place to place. As you plan, allow yourself plenty of time to reach your destination. A car is by far the most convenient way of making a tour of Hokkaido, though trains and buses can also get you where you need to go, for the most part. The island's train system is rather limited compared to the rest of Japan's. Service runs between major cities, but you can't access national parks using solely this form of transport. Buses present a more affordable alternative. While less comfortable, they cover a wider range of destinations. If you expect to travel this way, pack lightly in anticipation of limited luggage space.